#SuitsAndSneakers is an amazing initiative driving towards quality education and exchange of knowledge. 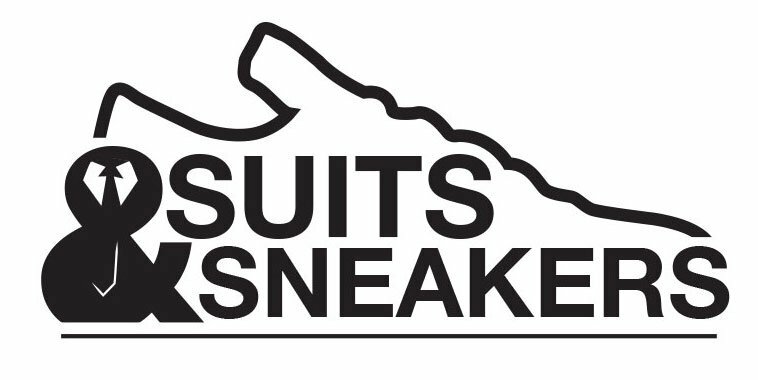 Suits & Sneakers says it is the University of the Future! They provide informal learning content on a range of topics, industries and categories! Its activities have caught the eye of many corporations and individuals in South Africa. This is good for education and it is our hope that #SuitsAndSneakers grows beyond our wildest imagination. People love the initiative (me included), but something has to change. South Africa is a fractured country grappling to remedy discrimination ills of the past which still cut across society to this day. It is necessary that brands and institutions be sensitive to this at all times. Just fulfilling the legal obligations of BBBEE is inadequate if we are all to move towards peace, prosperity and harmony. Individuals and brands have to audit their composition at all levels. This is evidenced by the eruption with anger by the South African populace after a teacher at Schweizer-Reneke primary took a photo that had divided the children along racial lines. Our beloved #SuitsAndSneakers is an institution big enough to warrant scrutiny. Their first event for 2019 highlights the problem that is slowing down progress in women emancipation and racial integration. All the eight panellists (speakers) and the host, Mark Sham, are males. This begs the question to say, don’t we have knowledgeable women out there who can add value to the discourse? Why did they choose their panel without sensitivity to their context? It is given that we should all be contributing to the solution to gender discrimination. It is my wish that 2019 will be the year that brands will take stock of their composition and be sensitive to the past and present ills. 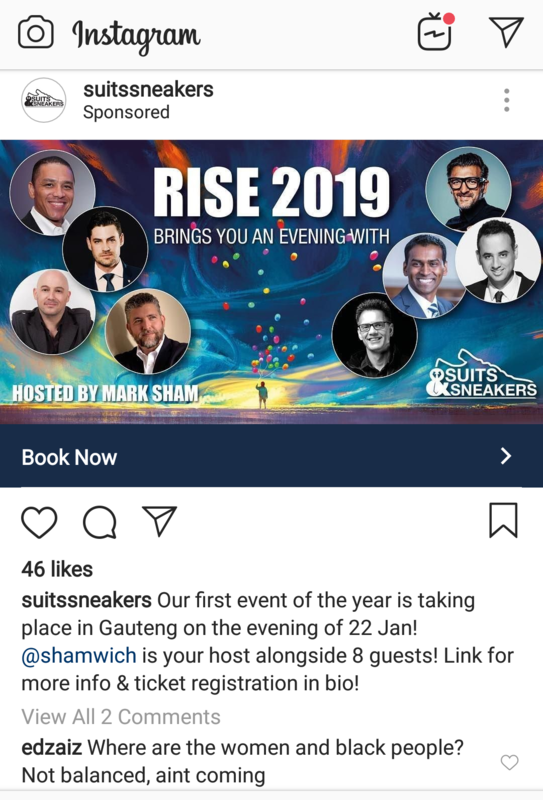 I expect #SuitsAndSneakers to come to change their panel out of respect for South African women (black and white) who have been downtrodden for a long time. If they don’t change the panel then I expect the panellists themselves to dissociate themselves with the event because it is the right thing to do. There are eminent persons involved so they should show support for equality. I urge all women to boycott this event until this is rectified. We should no longer allow brands to perpetuate the imbalances that have ripped us apart as a society.